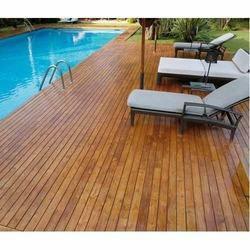 Our company is widely appreciated in offering Outdoor Wooden Flooring. Price Range : Rs 130 to 850 Square Feet. 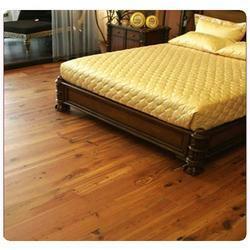 We are leading supplier and exporter of various types of wooden flooring. We provide a vast gamut of Teak Wooden Flooring. The teak wooden oil is a natural insect repellent and hence these flooring are highly resistant to decay & termite attack. Our range plays a vital role from both an aesthetical and functional point of view. Our range can be availed at market leading prices. Hardwood Flooring is made of solid natural wood species and milled from a single piece of timber. It has got tongue and groove system with good sanding and refinishing capabilities. Our hardwood flooring are kiln dried so that it has optimum moisture content. Hardwood flooring offers a variety of grain patterns, natural color variations, and the beauty of a natural material. We have emerged as a noticeable firm intricate in making available Engineered Wooden Flooring, which is designed using advanced techniques.